Een top product voor mijn XL650, ideale hoogte om mee te werken. The best ever add on to my 550. I really noticed the difference. Thanks DAA. The Dillon 650/550 Machine Strong Mount is really usefull, it helps a lot to optimize the work with the Dillon machine. I would never buy a Dillon without this Strong Mount. Essential tool. I use it with my 550 and my reloading experience is more ergonomic and the press is more stable now as well. I highly recommend it. 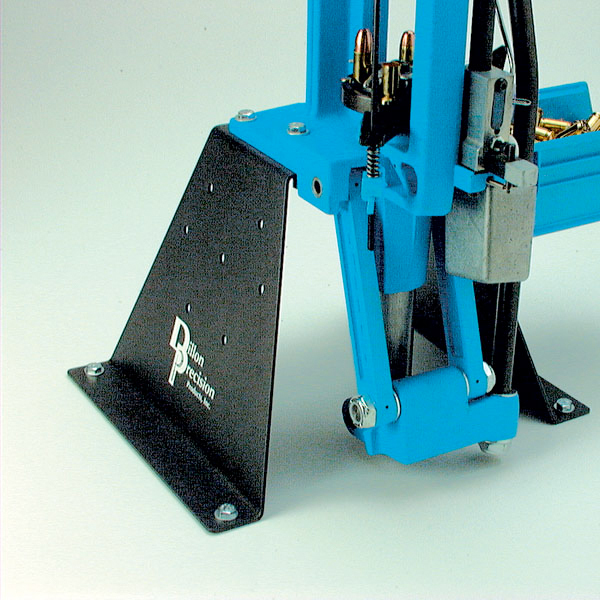 The Dillon 55-/650 Strong Mount is an excellent addition to any reloading bench. It elevates your reloading press, making it higher and usually easier to operate comfortably for most users. By creating a much larger and wider base for the press, it also serves to stabilizers the machine, reducing vibration and wobble which can be detrimental to good reloading. It is one of the most useful accessories in the Dillon line up, and highly recommended for both 550 and 650 reloaders. This mount is for both the RL550 and RL550B, RL550C, as well as the XL650.